No representation is made that the quality of legal services to be performed is greater than the quality of legal services performed by other lawyers. Materials on this site are provided for informational purposes only and do not constitute legal advice. You should not act or rely on information in this site without seeking the advice of an attorney licensed in your state. This site does not, and is not intended to, create an attorney-client relationship between you and Harris, Skipworth & King or any of its attorneys. Please do not send confidential information to us before meeting with your attorney personally. 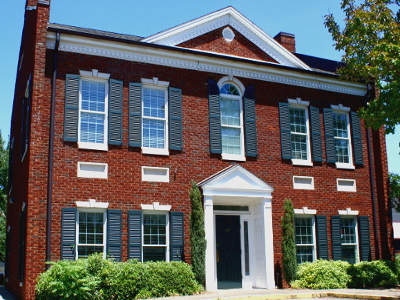 Harris, Skipworth & King is a Florence, Alabama law firm practicing in several areas of law including elder law, probate practice, Medicaid applications, civil litigation, and real property law, as well as general legal practice. Our attorneys are passionate about what they do and provide personal service to their clients by advising and representing them with zeal and broad perspective. Each of our attorneys has unique ties to the Shoals along with experience and a proven track record in their respective areas of the law. We represent clients from around the Shoals, the State of Alabama, and beyond, and would be honored to assist you in any way we can. Mr Harris graduated from the University of Alabama School of Law in August, 1972 and was admitted to the bar in May, 1973. He was named as the general conservator and the general administrator of estates for Lauderdale County, Alabama on June 30, 1977, by Judge Will Duncan. Having now served under three probate judges over a period of more than 35 years, he has served longer in these positions than any person currently serving in Alabama. This experience naturally led Mr. Harris into a concentration in elder law, including such things as planning for incapacity, nursing home Medicaid eligibility, estate planning, the use of trusts to maintain eligibility for entitlement programs, protective proceedings, estate administration, and other advocacy on behalf of elderly or disabled persons. Actually serving as a public fiduciary for these years has given Mr. Harris a position of unique experience from which to advise persons who are planning for possible incapacity or are faced with these difficult decisions on behalf of family members. Mr. Harris is a member of the American Bar Association. He served as President of the Lauderdale County Bar Association in 1980-81. He is a charter member of the Elder Law Section of the Alabama State Bar, and served as chairman of the Section for 1999-2000. Mr. Harris was born in Scottsboro, Alabama, where he spent his childhood and attended the public schools. At the age of 15, as a member of Boy Scout Troop 18, he attained the rank of Eagle Scout. At age 17 he entered the McCallie School, a boarding, college preparatory school in Chattanooga, Tennessee. His senior year there he was appointed by the headmaster as prefect of the senior dormitory and was named "Most Valuable Lineman" on the football team. He then attended Washington and Lee University, in Lexington, Virginia, graduating in 1969, with a bachelor of arts degree in political science. While at W&L, he was a member of Kappa Alpha Order, was named to the "Dean's List," and was named as all-conference defensive guard in the Division III College Athletic Conference. Mr. Harris entered the University of Alabama School of Law in 1969, but active duty training as a medic in the Alabama Army National Guard caused him to miss the second semester of his freshman year. Returning to law school after active duty, Mr. Harris was able to complete enough course work in summer school sessions to graduate at the end of summer school in 1972, in the top quintile of his class. After law school, Mr. Harris came to Florence, Alabama, where he initially was employed in the law office of Mr. E. L. Colebeck. In 1974 he joined with John Formby and Edward Doggett in the firm known as Formby, Doggett & Harris. This firm began business in the property at 407 South Court Street. The same property is now the home of Harris, Skipworth & King, although the current building was built after fire virtually destroyed the old building in 2002. Mr. Harris married Lucy Wilson, also of Scottsboro, in 1967, and they have two adult children, Clinton, who graduated from The University of North Alabama, and Rebecca, who graduated from Birmingham Southern College. They are members of First Presbyterian Church, Florence, where John and Lucy are both elders. He has been a member of the Board of Directors of Florence Presbyterian Apartments d/b/a Montreat Apartments for a number of years. Elsewhere in the community, Mr. Harris has been a member of the Florence Kiwanis Club since December, 1972, having served as President of the club in 1980-81. He has served as editor of the club newsletter for about fifteen years and chairman, for more than twenty years, of the annual All-American Poster and Essay Contest in the schools of Florence and Lauderdale County. He currently serves as a member of the Board of Directors of the Northwest Alabama Community Action Agency and a member of the Advisory Board of the Florence Salvation Army. He has previously served terms as a member of the Board of Directors of ARC of the Shoals, Inc. Mr. Harris has been a member of the Lauderdale County Democratic Executive Committee since 1978 and has served as chairman since about 1992. Being a fountain pen collector himself, Mr. Harris is responsible for convincing other collectors to share their miscellaneous collections in the "Downtown Pocket Museum" sponsored by the Design Committee of The Florence Main Street Project, found in the lobby of the Lauderdale County License Commissioner's Office. Cory King was born in Sheffield, Alabama and attended Muscle Shoals High School. From there he went on to the University of Alabama for both his undergraduate degree and his Juris Doctor. 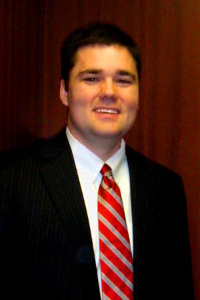 While at the University of Alabama School of Law Cory was awarded the Judge Walter P. Gewin Best Brief Award in the John A. Campbell Moot Court Competition. He also participated in the Elder Law Clinic during his third year of school assisting elderly clients of limited means with issues such as wills, estate planning, powers of attorney, and disputing questionable debts. Cory practices in the areas of elder law, probate practice, and civil litigation mainly in Lauderdale, Colbert, and Franklin Counties. 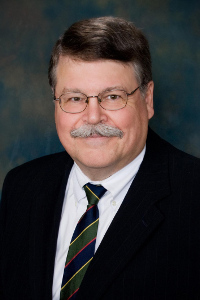 He has experienc in estate planning, trusts for disabled children, guardianships and conservatorships, administering estates, planning for long term care and Medicaid benefits, and general civil litigation. Growing up, Cory played soccer for many years and was the kicker for his high school football team. He studied computer science as an undergraduate and still enjoys writing software in his free time. He lives in Sheffield where he enjoys nurturing almost any type of plant and spending time with his wife, Karen Conn King. Harris, Skipworth & King officially formed in late 2010 when Cory King joined the former Harris & Skipworth, P.C. At that time John Harris and Troy Skipworth had been practicing together in Florence, Alabama for over 4 years. Prior to that, John Harris had been practicing here for over 30 years. 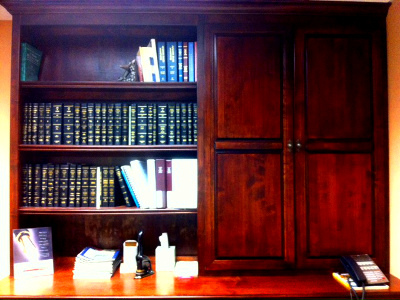 Our attorneys practice in a broad range of areas but focus their efforts on estate planning (including wills, powers of attorney, and advance medical directives), probate practice (including guardianships, conservatorships, and estate administration), long term care planning (including applications for Medicaid benefits), drafting trusts, real property law, and general civil litigation. Harris, Skipworth & King not only has experienced, passionate attorneys, we also have a support staff with decades of combined experience and a heart for helping those in need. Teresa Wilson has faithfully served the firm for over 17 years. She manages dozens of accounts on behalf of wards and estates in addition to performing necessary day-to-day secretarial duties. Teresa was born and raised in Tuscumbia and graduated from Deshler High School. She moved to Muscle Shoals after marrying her husband Marlin Wilson. She and her husband have been married for 30 years and have 2 daughters and 2 grandchildren. Her husband co-manages a large retail store in the Florence area. Teresa enjoys spending her free time with her family, especially her grandchildren, and enjoys traveling, reading, sewing, and making wire jewelry. Gail Allen has been with the firm for 12 years and provides administrative support to all of our attorneys in a broad range of fields. She assists in drafting a wide array of important legal documents including wills, powers of attorney, deeds and many court filings. 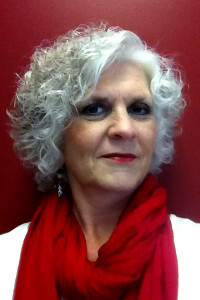 Gail is an active member in community theater in the Shoals area. She has fulfilled many roles both on and off the stage as an actress, stage manager, assistant director, and designer and producer of props and costumes, as well as serving on the Zodiac Board. She is also a very active member of her church and participates in mission trips both at home and abroad. In addition to her involvement with her own church she coaches drama at another church in the area. Having received training through C.L.A.S.S., she speaks to women's groups, combining her own life experiences and laughter to encourage others. Her hobbies include playing piano, singing, sewing, making jewelry and homemade soaps and lotions, genealogy, and word and number puzzles. She has one son, Duane. He and his wife, Bonnie, have 2 daughters. Cayson is 8 years old and is a cheerleader for a Muscle Shoals Trojans football team. Cayson is also beginning to follow in grandma's footsteps by becoming involved in theater. Ava is almost 4 years old and she tries to do anything and everything her big sister does. Naturally, they are the loves of Gail's life. Continue south until Dr. Hicks Blvd, then turn left (east) onto Dr. Hicks Blvd. Take first right onto South Seminary St. and next immediate right into the parking lot for Wells Fargo Bank. Continue through parking lot to parking spaces near ATM. Our building is red brick, two stories, and faces Court Street. Continue north until Dr. Hicks Blvd, then turn right (east) onto Dr. Hicks Blvd. Take first right onto South Seminary St. and next immediate right into the parking lot for Wells Fargo Bank. Continue through parking lot to parking spaces near ATM. Our building is red brick, two stories, and faces Court Street. Continue west until South Seminary St., then turn left (south) onto South Seminary St. Take immediate right into the parking lot for Wells Fargo Bank. Continue through parking lot to parking spaces near ATM. Our building is red brick, two stories, and faces Court Street. Continue east until South Seminary St., then turn right (south) onto South Seminary St. Take immediate right into the parking lot for Wells Fargo Bank. Continue through parking lot to parking spaces near ATM. Our building is red brick, two stories, and faces Court Street.